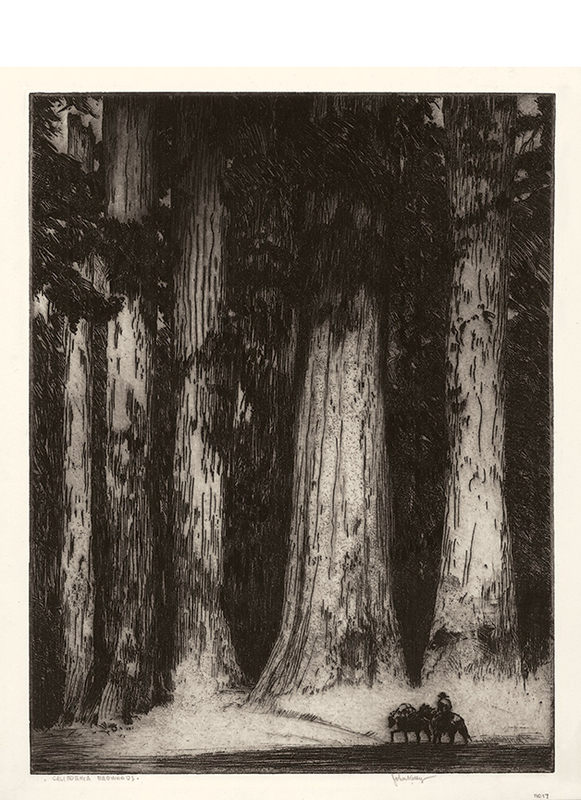 California Redwoods- - c. 1920, Etching. Edition not stated. Signed, titled and annotated NO 17 in pencil. Image size 12 7/8 x 9 3/4 inches (327 x 248 mm); sheet size 14 1/4 x 11 3/8 inches (248 x 289 mm). 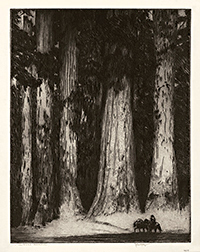 A fine, rich impression, in brown-black ink, with selectively wiped plate tone and rich burr throughout, on cream wove paper; full margins (1/2 to 3/4 inch); in excellent condition. Scarce. 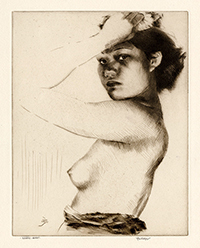 Kanani (Hawaii)- - 1946, Drypoint. Edition unknown. Signed, titled and annotated No 36 in pencil. 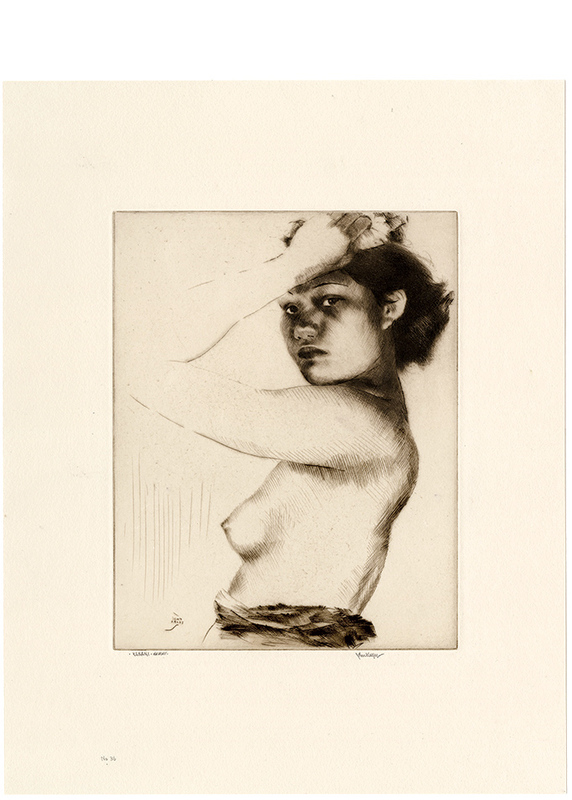 Image size 11 3/8 x 8 7/8 inches (289 x 225 mm); sheet size 18 1/2 x 14 1/2 inches (470 x 368 mm). A fine, rich impression, in dark brown ink, on heavy cream wove paper, with wide margins (2 3/4 to 3 3/4 inches); in excellent condition.